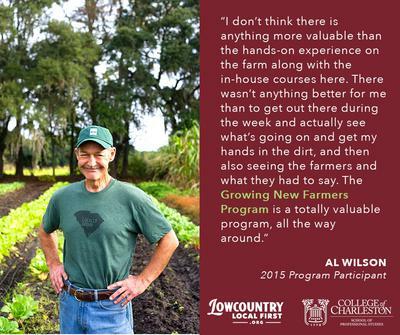 Lowcountry Local First is currently accepting applications for the 2016 Growing New Farmers Program. 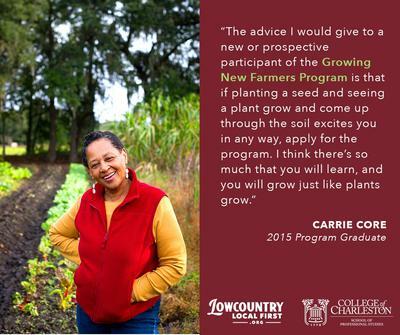 Selected participants will explore their interest in agriculture as they receive 6 months of experiential, hands-on learning in the field and curriculum-based instruction in a traditional classroom setting. All participants will experience introductory-level training including coursework, field trips, workshops, and regular field days on the 1-acre teaching plot within Dirt Works Incubator Farm. 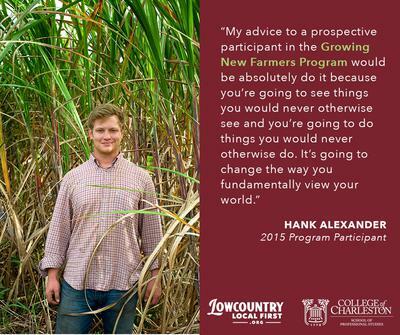 Qualified applicants are provided the opportunity to be matched with a local farmer for an apprenticeship placement to gain hands-on experience relevant to their interests. 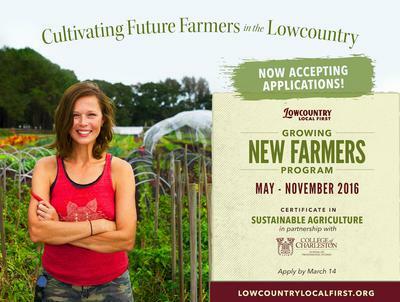 Participants will receive a minimum of 350 training hours (up to 550 with apprenticeship) and receive a Certificate in Sustainable Agriculture and Continuing Education Units from the College of Charleston through the JobBridge program.